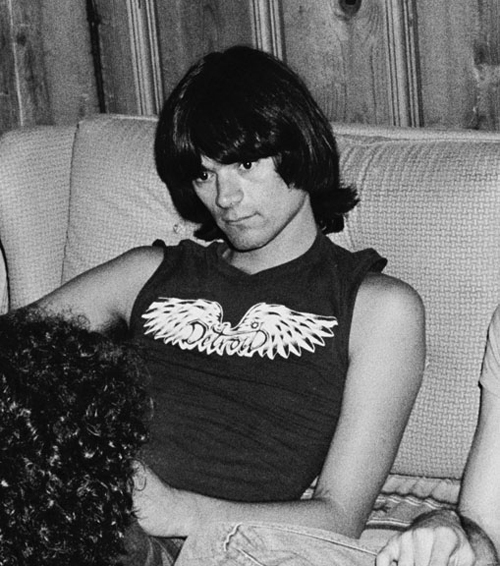 Check out this backstage photo of punk rock legend Dee Dee Ramone sporting what looks like a bootleg Detroit Wings (Not RED WINGS) shirt circa 1979. 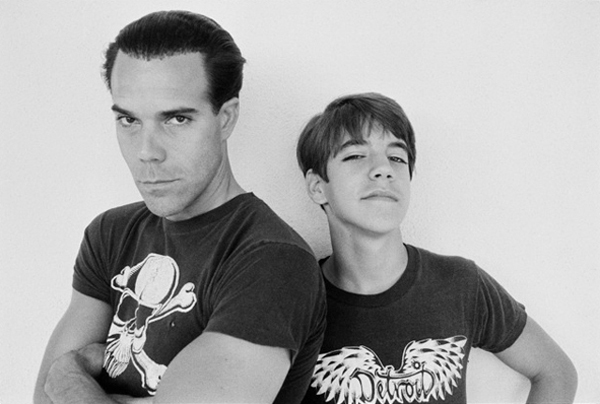 Then I came across this photo taken 3 years earlier of a 13-year old Michigan native and future lead-singer of Red Hot Chili Peppers, Anthony Kiedis and his dad actor Blackie Dammett (circa 1976) rocking the exact same Detroit shirt. What a trip!!! 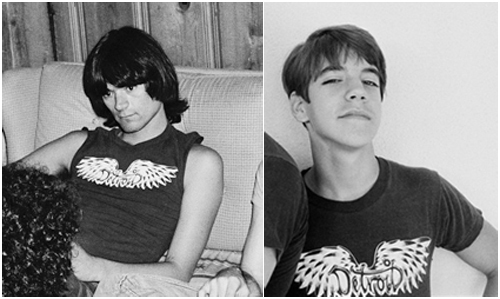 This has to be one of the most random same photos coincidences of a rock star and future rock star wearing the same shirt. 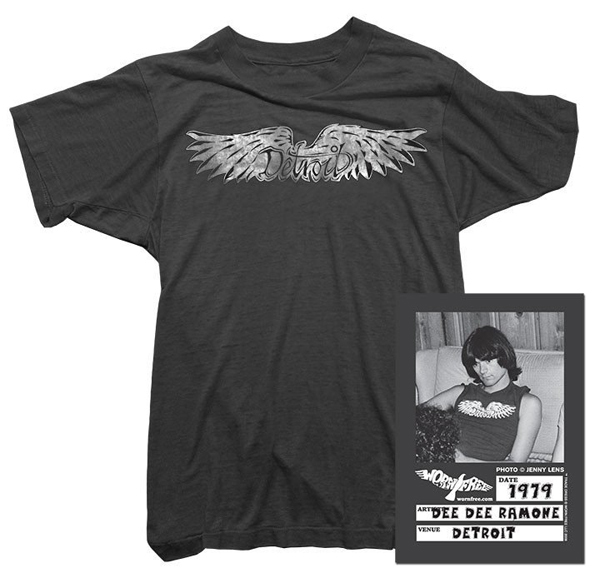 Detroit natives and Ramones & Chili Peppers fans alike can now pick up their own DETROIT shirt complete with Dee Dee Ramone backstage pass sticker from Worn Free by clicking the shirt or link below. Use coupon code FEELNUMB to get $5.00 off your purchase.